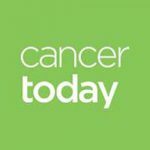 Yesterday, the American Association for Cancer Research (AACR) joined the American Cancer Society (ACS), the American Society of Clinical Oncology (ASCO), and the National Cancer Institute (NCI) in releasing a joint position statement to guide the future of cancer health disparities research. This statement represents a unified strategy to ensure that all patients benefit from cancer research. It was developed following a summit hosted by the four groups that brought together experts in clinical cancer research, epidemiology, public health, and health care policy, as well as patient advocates, to discuss the current state of cancer health disparities research and identify top priorities in the field. You can read the news release here and the statement in the AACR’s journal Cancer Research. It was simultaneously published in CA: A Cancer Journal for Clinicians; in the Journal of Clinical Oncology; and on the NCI’s website. This joint statement is the latest example of the AACR’s longstanding commitment to addressing cancer health disparities, often in association with the AACR Minorities in Cancer Research Council (MICR). In September, the AACR and MICR will host the Tenth AACR Conference on the Science of Cancer Health Disparities in Racial/Ethnic Minorities and the Medically Underserved in Atlanta. Learn more about the AACR and MICR’s work in this area here.